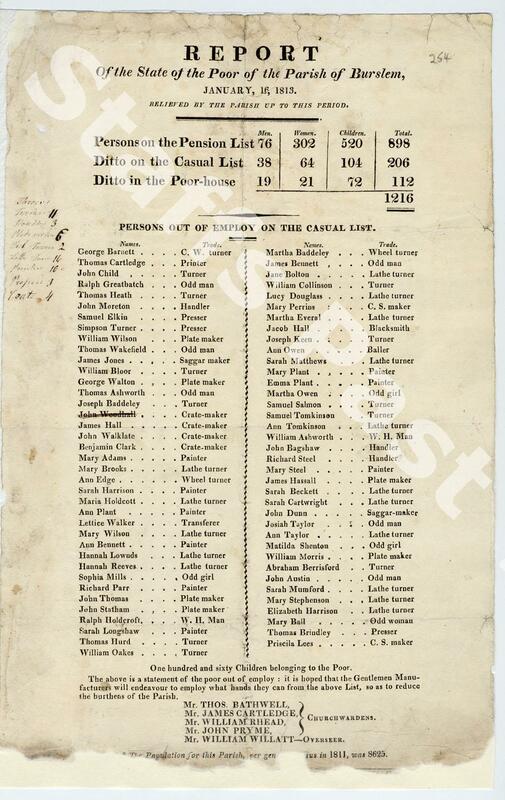 Description:This list, compiled by Burslem's Parish Churchwardens, reveals some of the town's unemployment problems in the period around Christmas 1812 and January of the following year. 'Rates' collected by church parishes helped to alleviate some difficulties, by allowing parishes to make 'casual' payments to the poor. However, if a person could no longer struggle on, they could be committed to the workhouse. 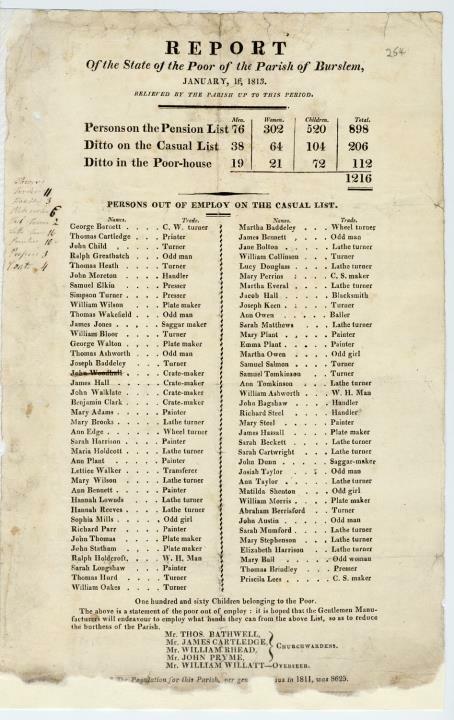 This list names all of the unemployed workers, men and women, who were receiving 'casual' poor relief in Burslem at the time. Their trades are also listed. Churchwardens hoped that local manufacturers would be able to offer employment to some of them, "so as to reduce the burthens of the Parish." As well as adult workers, 160 children were also 'on the rates' at this time. Priscilla Lees - C.S. Maker.